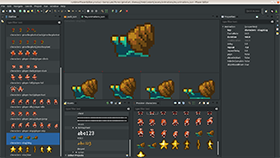 Scripts and classes that allow you to build your game UI using Adobe Animate and export directly. 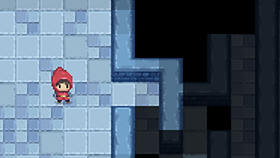 An open source dungeon crawler using Phaser 3, TypeScript and public domain assets. 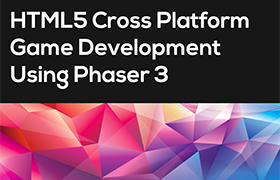 The 'Making your First Phaser 3 Game' Tutorial is now available in 8 new languages including Chinese, Spanish and Polish. The April Phaser Backer Examples are now available including the new Phaser 3D class and no less than 34 examples. 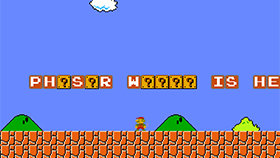 Enter your own message and then run along a Mario level, hitting the blocks, to reveal it! 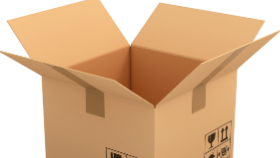 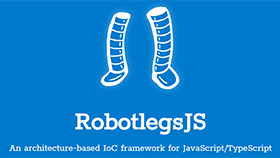 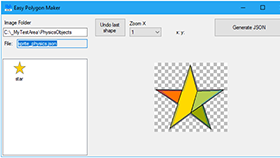 Trace around images, exporting the outlines as P2 Physics JSON data for custom body shapes. 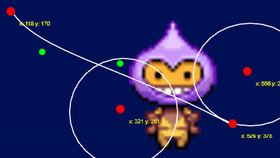 The February Phaser Backer Examples are now available including distance constraints, a Matter JS cannon and pixel tricks. 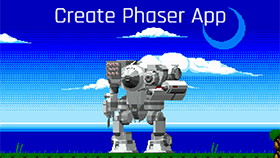 The latest version of Phaser CE is now available with updates to the Creature runtime, audio fixes and camera features. 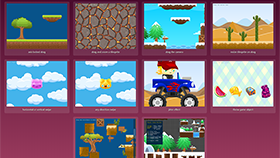 The January Phaser Backer Examples are now available including animated Tile Sprites and Pointer followers. 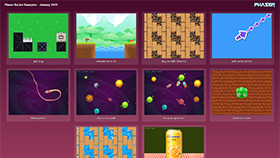 A free web based texture atlas creator for Phaser 3. A look back at the news and numbers of Phaser in 2018 and what the New Year holds. 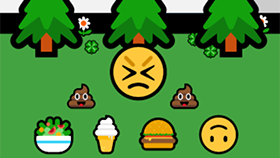 How Lucas Knight stepped out of the box when designing his latest game and found Emojis! 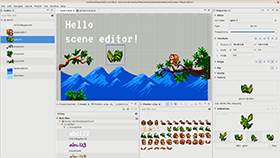 Read about the development progress of Phaser Editor 2 including the powerful new Scene Editor. 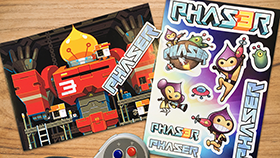 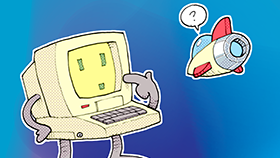 Show your support for Phaser by adorning your laptop or office with this pack of high quality Phaser branded stickers! 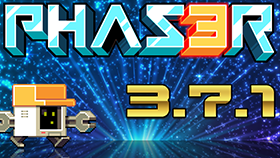 The latest version of Phaser CE is now available with updates including compressed texture support, audio pause fixes and more. 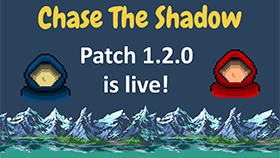 The latest release includes some important fixes, Tiled 1.2 and multi tileset support, Matter physics updates and lots more! 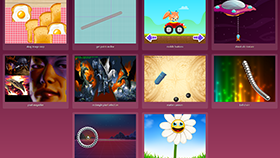 This release introduces the Facebook Instant Games Plugin, the new Shape Game Object, Point Event updates, Camera Shaders and more! 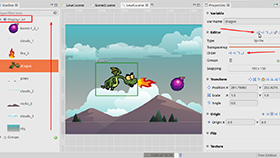 The best Phaser IDE gets another update adding features to the texture packer, a new asset pack editor and more. 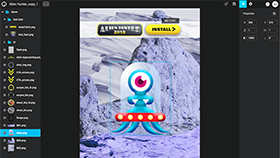 After 6 weeks work it's finally here! 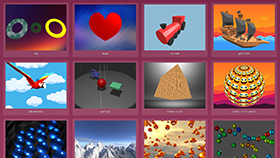 Sporting a brand new graphics pipeline, fully pimped-out Render Textures, Matter.js updates, SVG resizing and loads, loads more. 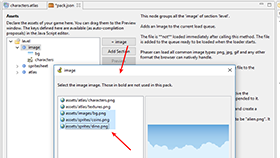 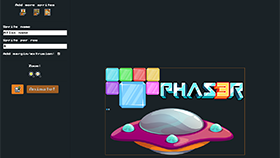 A powerful and easy-to-use new 9-slice plugin for Phaser 3 with docs and examples. 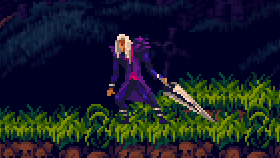 A complete game art assets pack to build Castlevania style games with sample Phaser source included. 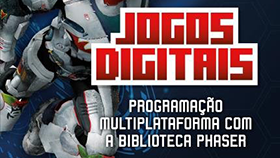 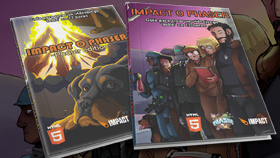 A great 130 page book with full source code and assets covering each step of creating games in Phaser and Impact. 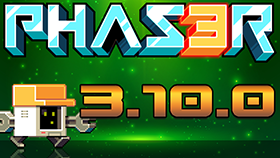 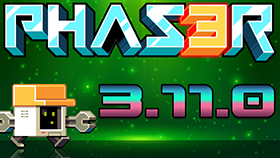 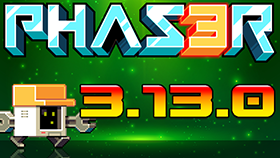 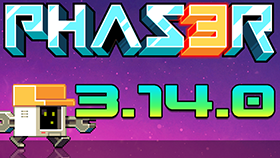 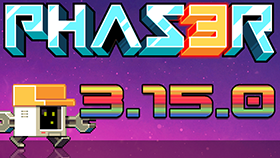 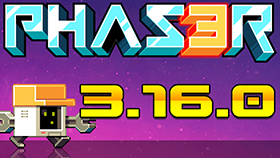 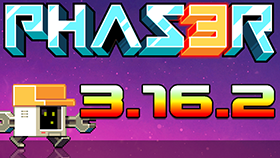 The single biggest update to Phaser 3 yet. 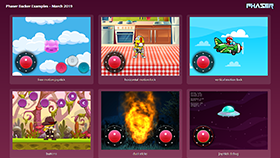 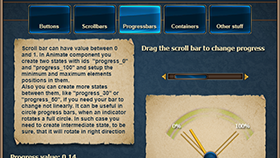 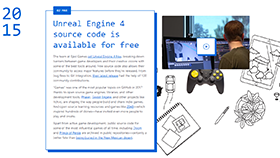 It brings hundreds of features, including multi-touch, physics updates, gamepads, new API templates and lots more. 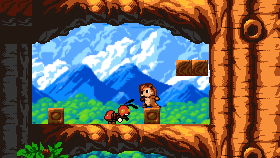 Phaser 3 continues to evolve and this release brings some important updates regarding canvas focus, new camera lerp support, new physics settings and lots of fixes. 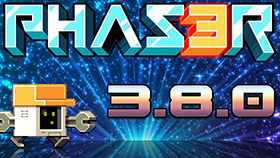 The latest version of Phaser 3 is now available including a brand new Plugin system, WebGL updates, fixes and more work on the documentation. The latest version of Phaser CE is out, with bug fixes in Web Audio. 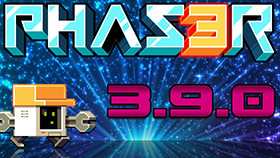 The latest release of Phaser 3 brings hundreds of enhancements with it, including a revamped Loader Plugin, new Pack File support, easier ingestion outside of Webpack and much, much more. 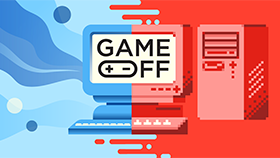 As GitHub celebrate 10 years of operations they look back at what defined them, including a nod to games. 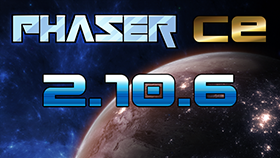 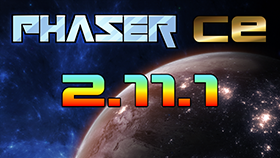 The latest version of Phaser CE is out, with updates, bug fixes and new features. 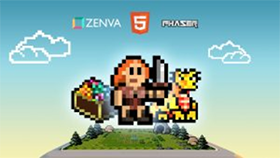 After a week of release how has this multiplayer game performed?